Air Hydraulic Riveter Model 706-IMPERIAL RIVETS & FASTENERS CO.,INC..
2.4mm (3/32"), 3.2mm (1/8"), 4.0mm (5/32"), 4.8mm (3/16"). 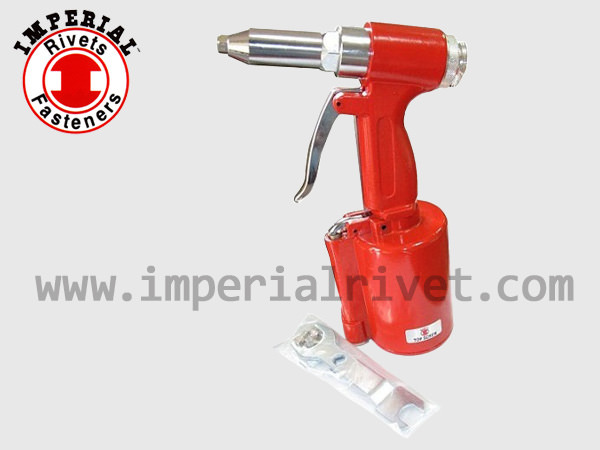 CHARACTERRISTICS OF AIR HYDRAULIC RIVETER： INSTALL WITHOUT PRODUCING ANY HARMFUL MARK. EASY, FAST & SAFE INSTALLATION.